There’s so much plastic surrounding our food—not only at stores but at home as well. 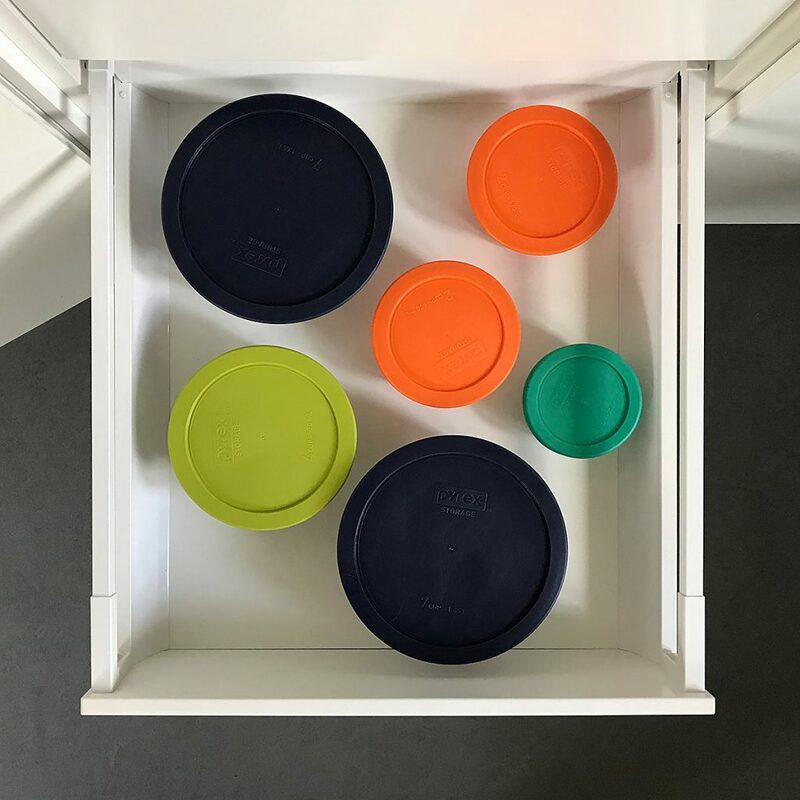 By using reusable containers, we can save a lot of single-use plastic from going to landfill. 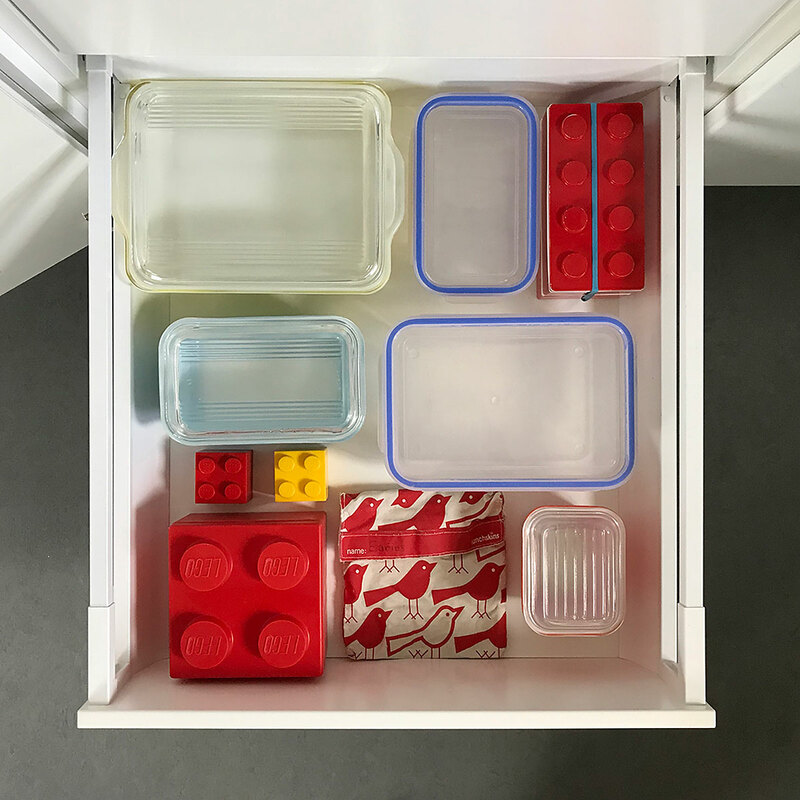 Here’s what I currently use to store leftovers, pack lunches, buy takeout and shop bulk: glass storage containers with plastic lids, vintage Pyrex containers with glass lids, reusable plastic containers and a cloth bag with velcro closure. 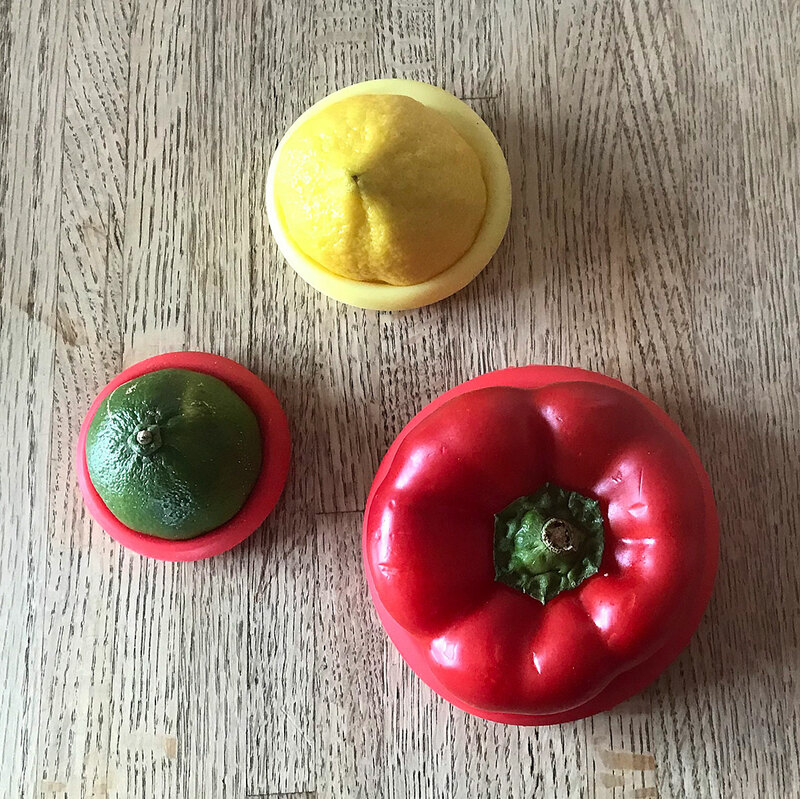 To keep sliced fruits and veggies fresh in the fridge, I use reusable silicone food covers (these are also great for opened canned food, too). Challenge yourself to eliminate single-use plastic from your kitchen. The next time you find yourself reaching for a Ziploc bag or Saran wrap, see if you have a reusable alternative that can do the job!